The inspection of Fall Protection equipment is a really important part of your day to day activities when working on heights. Unfortunately, there are too many examples in which a piece of equipment gets overlooked in the rush to get to work. Training and the monitoring of equipment are key preventing fall accidents. Always be sure to check you fall protection equipment before you go up to the roof. If you have been trained yourself you know what to look for to ensure that the equipment is in safe working condition. If you are not sure what to look for or know what to inspect, don’t go up the roof. First check your harness and the webbing, is the stitching still intact, is the recommendation date for expiration not passed and are all D-rings, buckles and other harness features intact and not deformed? Real important, are there any signs of wear points, anything that can lead to failure? If you find anything that may cause issues, replace your harness or ask for trained personnel. Start by checking the lanyard hook. Is it still working and are there no signs of deformity or corrosion? Just like the harness, check the ropes and lanyard; Are there no signs of wear points, cuts or holes and is the stitching correct? Then perform a check on the Personal Energy Absorber (PEA), has it not been activated yet or damaged. 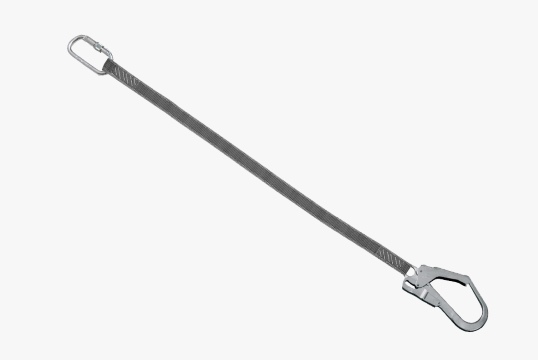 If there are signs that the energy absorber has been activated, dismiss the lanyard immediately and replace it with a new lanyard, which also needs to be checked. Make sure the roof anchors are installed properly by all necessary safety requirements and show no signs of wear, corrosion or previous damage or activation, due to arresting a fall. Making sure your fall protection equipment is 100% in order also calls for proper cleaning and storage of your equipment. Keeping your fall protection equipment clean will prevent contaminants to work on it. Keeping it clean and dry will prolong the durability and safety of the equipment. The same goes for storage. Avoid damp or humid storage rooms and keep it away from heat or prolonged exposure to sunlight. 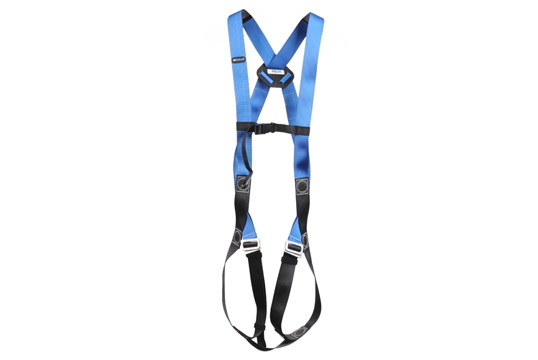 More information about how to treat your full body safety harness is found in this blog. This is just a small overview of a fall protection inspection. Training is always critical, make sure employees have gotten the right training before they enter any situation where they can be confronted with fall hazards. Make sure they are trained in the equipment they use on a daily bases and know how to use, inspect and maintain their safety equipment.